Starting in 2017, we provide an online demographic data portal for the Western Australian Office of Multicultural Interests. The portal presents demographic and economic data for Western Australia, focusing on variables that emphasise the cultural diversity of the State's residents. 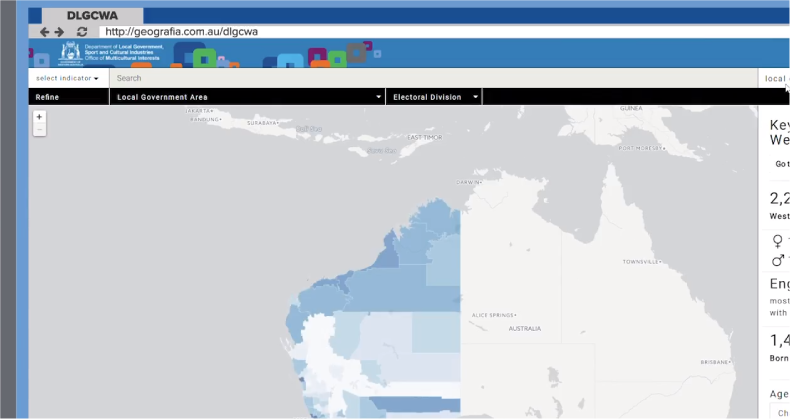 Census data from 2006, 2011 and 2016 are currently shown and 2021 data will go online once it becomes available. The site was recently commended for making the data more accessible for visually impaired users.